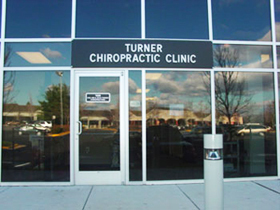 Welcome to Turner Chiropractic Clinic of Fairfax County. 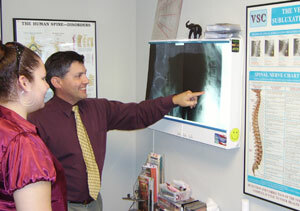 We have been providing quality chiropractic care for residents of Centreville and the surrounding area since 1992. Our clinic offers the newest technology to help our patients get out of pain as quickly as possible. We use chiropractic techniques that have been scientifically proven to evaluate spinal curvatures and postural abnormalities. After an abnormality is identified, we then make corrections that are clearly observable and measurable. At Turner Chiropractic Clinic, our primary concern is restoring the health of our patients. We are able to achieve this by carefully evaluating each patient, putting together an individual treatment plan and then monitoring each patient's progress. In addition to providing high quality care, we believe it is important to provide a friendly and professional office environment. You will always be greeted here by a caring, professional with a smiling face. We treat each patient as they would want to be treated. Now Offering Massage Therapy, with our newest associate Jocelyn Suk. If you are interested in discussing your health concerns with the doctor, please feel free to call and set up a consulation appointment. We will meet with you and thoroughly discuss your health history and determine if chiropractic care can help you regain your health. Dr. Turner is well versed in a number of chiropractic techniques and believe in providing care based on the individual needs of the patient.